For those who enjoy the aromatic flavor of lavender, these light and fluffy cupcakes topped with a rich frosting are sure to please! (And not to mention, they look absolutely stunning!) 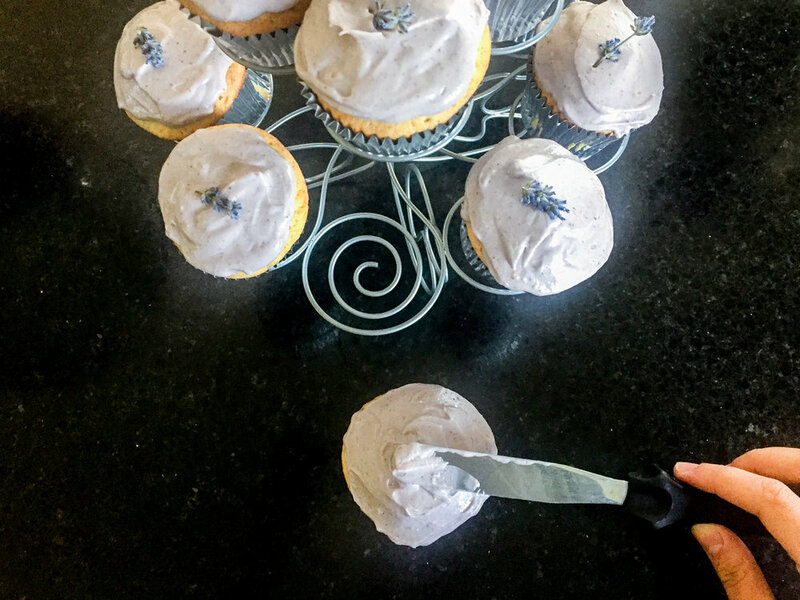 We incorporate our Lavender Honey Nut Butter into the frosting for a luscious and creamy complement to these cupcakes. 2. 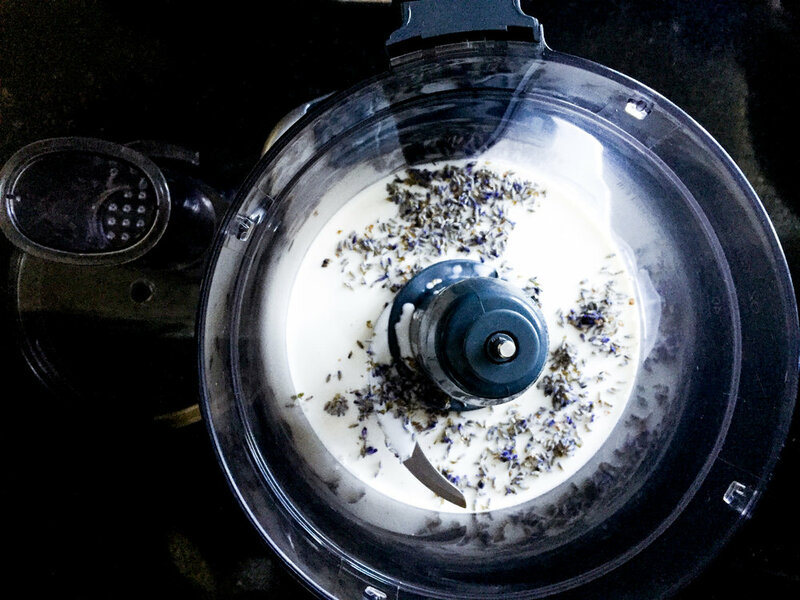 In a food processor, combine milk and lavender and pulse about 1 - 1 1/2 minutes until lavender is well chopped, scrapping down inside of processor once during processing. Pour into liquid measuring cup (be sure to scrape out all of milk and lavender from sides and lid), set aside and allow to rest. 3. In a mixing bowl whisk together cake flour, baking powder and salt for 30 seconds, set aside. 5. Blend in honey. Add eggs one at a time and mix just until combined after each addition. Stir in vanilla. 6. Working in 3 separate batches beginning and ending with flour mixture, add dry ingredients alternating with milk mixture, mixing just until combined after each addition. 7. 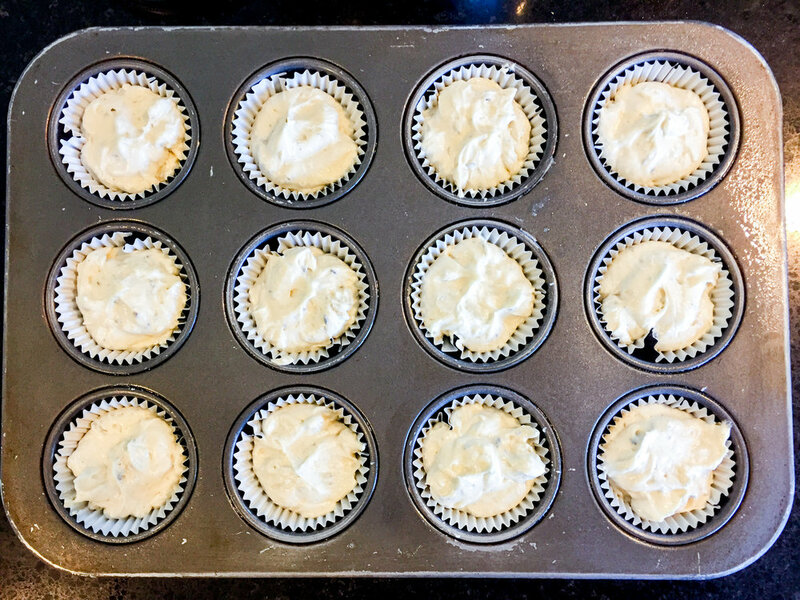 Fill paper lined muffin cups 2/3 full and bake in preheated oven 19 - 21 minutes, until toothpick inserted into center comes out clean. 8. Allow to cool several minutes in muffin tin before transferring to a wire rack to cool. 9. 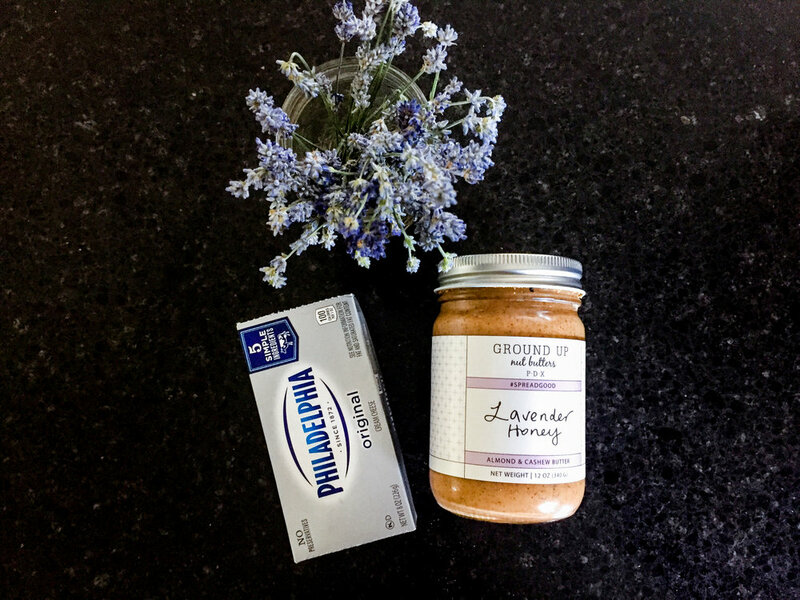 To make frosting blend together one package of cream cheese and ¼ Cup of our Lavender Nut butter. Add in ¼ cup whipping cream once combined and whip until thick and fluffy. 10. Add powdered sugar to taste. 1 tbsp. did the trick for us. 11. Cool completely before frosting. 12. Top with a fresh sprig of lavender for the perfect garnish.